Car seat manufacturer Dorel Juvenile Australia has issued an open letter from its CEO, detailing the latest information on the recall of two of its popular car seats, which has impacted around 10,000 products. Last week Dorel outlined the recall of thousands of its Maxi-Cosi car seats. 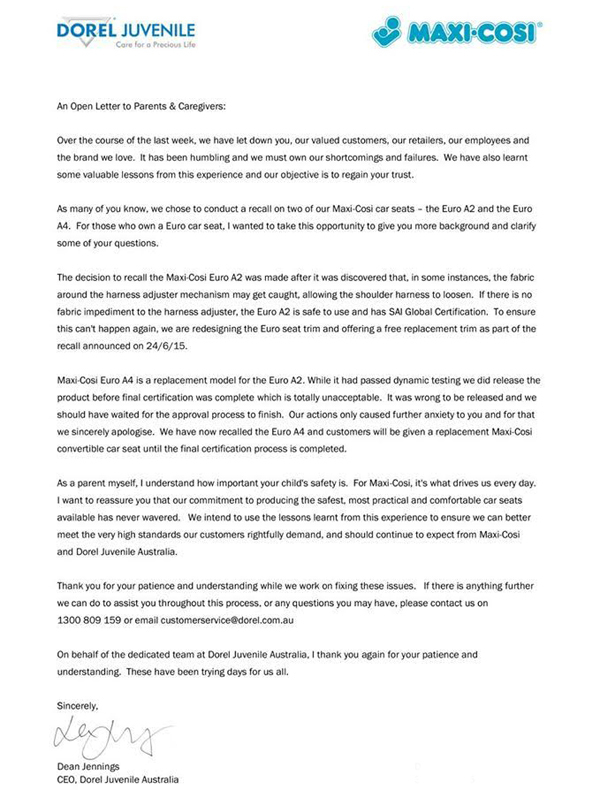 This week Dorel has moved to allay the fears of parents who have purchased the seats, issuing an apology, and giving options on how to fix the situation, through an open letter from CEO Dean Jennings. The company admits it has let its customers, retailers and employees down, with Mr Jennings saying, “It has been humbling and we must own our shortcomings and failures. We have also learnt some valuable lessons from this experience and our objective is to regain your trust”. 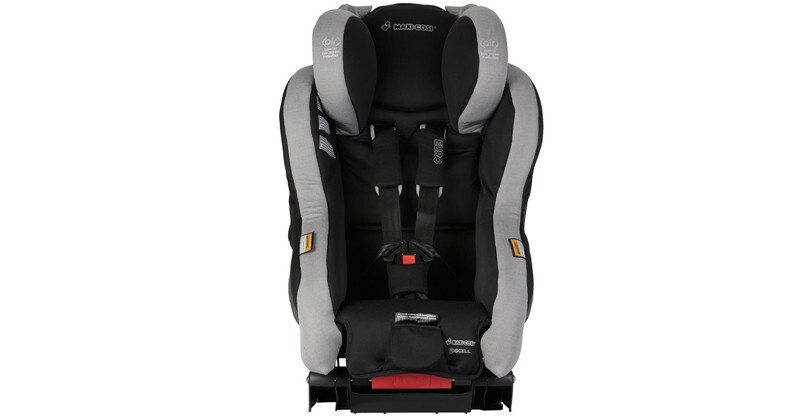 The decision to recall the Maxi-Cosi Euro A2 was made after it was discovered that, in some instances, the fabric around the harness adjuster mechanism may get caught, allowing the shoulder harness to loosen. If there is no fabric impediment to the harness adjuster, the Euro A2 is safe to use and has SAI Global Certification. To this end, a video has been posted, outlining how to ensure the fabric is free of the adjuster. To ensure this can’t happen again, the company is redesigning the Euro seat trim and offering a free replacement trim. Maxi-Cosi Euro A4 is a replacement model for the Euro A2. While it had passed dynamic testing, the product was released the before final certification was complete. The Euro A4 has now been recalled, and customers will be given a replacement Maxi-Cosi convertible car seat until the final certification process is completed. Meanwhile, Britax Australia has assured its customers that the current recalls do not relate to any of its car seats. The company says while it does have products which feature the word ‘Maxi’, they should not be confused with the Dorel Maxi-Cosi car seats. The company says, “The Britax Safe-n-Sound Maxi Guard SICT, Maxi Rider AHR and Maxi AHR are not being recalled and consumers can continue to use them with confidence”.